Paypal poker sites are only available to those who live outside the U.S. Like most payment processors, Paypal abandoned the U.S. online gambling market when the Unlawful Internet Gambling Enforcement Act (UIGEA) was passed in 2006. Since then, USA poker players have had to fund their accounts using alternatives, such as eChecks, e-wallet services, and bank transfers. Check out a list of real money poker sites! The reason a lot of poker fans enjoy using Paypal is because doing so is convenient. Most of us have accounts, and routinely use them to buy books, movies, and hundreds of other products and services. Moving money back and forth between our Paypal accounts and our favorite poker sites was easy and problem-free. For USA poker players, those days are gone (for now). Below, we’ll quickly explain why Paypal poker sites are no longer open to players in the U.S. We’ll then compare Paypal to the e-wallet services that have since emerged to fill the vacuum. Lastly, we’ll profile two poker sites that accept Paypal for deposits (for non-US players) as well as our favorite online poker rooms. Why Paypal Poker Sites Have Vanished From The U.S.
By now, you already realize the UIGEA prohibits financial institutions from processing transactions for gambling sites. Some of the best US poker sites still manage to push through credit card deposits for their members. But doing so poses a constant challenge; many of the transactions are rejected. By the time the U.S. government passed the UIGEA, eBay had already purchased Paypal. While Paypal was a private company, eBay was – and still is – a public company. Thus, their exposure to the legislation was high. They required Paypal to withdraw from the U.S. gambling market. When Paypal left the U.S. gambling market, a number of e-wallet services stepped into the gap. These services include eWalletXpress, Moneybookers, Neteller, and Click2Pay (among many others). They are still available today, though a few have left the U.S. market. A lot of people don’t realize Paypal is essentially an e-wallet service. There is very little difference between your Paypal account and an account at eWalletXpress. (Find out more about eWalleteXpress here. )The main difference is that most online retailers do not currently accept funds from these smaller services. That aside, nearly everything else works in the same manner. For example, you can transfer funds from your bank account to your e-wallet account; you can move funds between your e-wallet and poker site accounts; and you can transfer funds from your e-wallet balance back to your checking account at your discretion. If you’re outside the U.S., you can take advantage of the two Paypal poker sites we’ve profiled for you below. 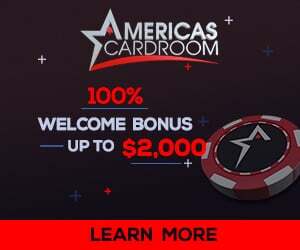 If you’re a USA poker player, you can use an e-wallet account at any of our top-rated sites listed further down the page. Again, the following two poker rooms have closed their doors to USA players. While they do accept Paypal for deposits and withdrawals, you must live outside U.S. shores to take advantage of them.